Clonie Gowen (aka Cycalona Gowen) has launched a lawsuit against Full Tilt Poker and the various people/companies associated with FTP. The suit, "Gowen vs Tiltware LLC, et al. ", was filed yesterday in the Las Vegas Office of the Nevada District Court. The list of defendants is impressive. First you have the various companies that are involved in Full Tilt's operations, including Full Tilt Poker, Tiltware LLC and Pocket Kings Ltd. On top of that, you have two more companies named as defendants, Kolyma Corporation and A.V.V. The significance of these two companies is unknown to me. Also listed are some of the original founders of the company, including Howard Lederer and Chris "Jesus" Ferguson. 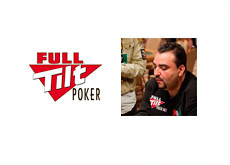 In addition to that, you also have the remaining members of Team Full Tilt that are all equity holders in the company as well, including: Jennifer Harman, Erick Lindgren, Phil Ivey and Patrik Antonius. Clonie Gowen is also a member of "Team Full Tilt" (or at least was), and still has her photo featured on the Full Tilt Poker "Team Full Tilt" page. Gowen claims that the defendants are guilty of a number of things, including Breach of Contract and Unjust Enrichment. Gowen claims that in 2004, she was given the opportunity to become involved with Full Tilt Poker. A meeting was put together in May of 2004 that involved many of the future owners of the company. This meeting took place in Phil Ivey's suite at the Golden Nugget, and was apparently led by Howard Lederer. Gowen claims that she was offered a 1% stake in the company at this point, and ended up accepting the offer. She was to represent and promote the company in exchange for her stake. She claims that she was led to believe that her stake would be in both Full Tilt Poker and Tiltware, the company that would "lease" its software to Full Tilt Poker. She claims that in 2007, all members of "Team FTP" received distribution checks except her. She asked for her "fair share" and was turned down. Claims that in November 2007, Howard Lederer offered her $250,000 for her past work with the company. She turned this down. Claims that Full Tilt Poker is worth $4 billion dollars and that her stake is worth $40 million. Gowen is claiming damages of $40 million dollars. Claims that she continued to work for and promote the company despite not getting paid for her efforts. Was informed a few days ago that FTP would soon be releasing a press release stating that Gowen was no longer a member of Team Full Tilt. Apparently there is no written contract between Gowen and the principals at Full Tilt Poker..
That's the gist of the filing. We just got our hands on the actual filing, so if we notice any interesting details while reading it then we'll update this article. One thing is for sure - Full Tilt will do WHATEVER they can to keep this case out of court. I would expect that the two sides will settle, and fairly quickly. We'll continue to follow this story and provide further updates as more details become available. Source: Gowen vs Tiltware LLC, et al.